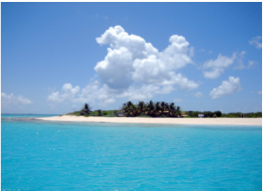 Anguilla boast a great variety of activities catering for all your interests and moods. From snorkelling around Prickly Pear Cays, visiting the Old Valley's historical sites, to cheering the boats racing around the island, or enjoying a leisurely bike ride around the island, this is a country that inspires pure relaxation. Visiting Anguilla means benefiting from its outstanding mix of laid-back atmosphere in luxurious conditions providing all you need to feel rejuvenated. 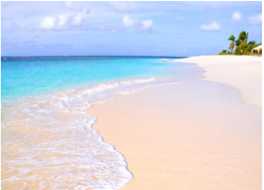 Anguilla is simply a beach lover's paradise and Shoal Bay is our top pick. This 2-mile strand of perfect white sand has been named the world's best beach by many of the top tourist magazines over the years, meaning a good proportion of the beach is lined with villas, small resorts and umbrellas. There are several great open-air restaurants offering live music and rum punch, and visitors can enjoy glass-bottom boat tours as well as scuba-diving and snorkelling at the coral reef. Anguilla smells delicious! Everywhere you look, you will see tents with locals selling their barbecued chicken, ribs, fish, crayfish and lobster. The mouth-watering fare is often paired with a cold rum punch, beer or piña colada. It’s not expensive and makes an ideal quick lunch or picnic. 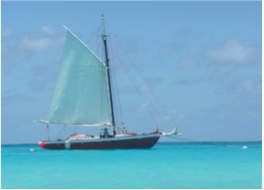 Sailing in Anguilla has a long and deep history, firmly rooted in the history of the island itself. The tradition started in the early 1900's when, due to a declining economy, Anguillan were forced to sail to neighbouring island for weeks or months at a time to find work in order to provide for their family. Overtime, the sailors on their way back to Anguilla started racing each other, unknowingly creating a tradition that would not only live on, but also anchor itself deep into the island's cultural identity. 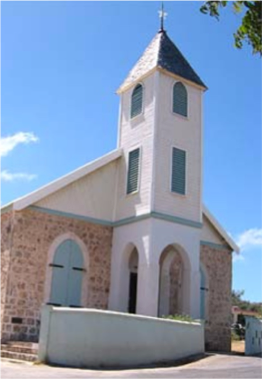 For a taste of Anguilla's beautiful past and traditional architecture, head to the part of town Anguillan people refer to as the Old Valley, on the road to Crocus Hill, and admire the likes of The Warden's Place and Miss Marjorie's House, Rose Cottage, and Ebenezer's Methodist Church. Prickly Pear Cays are two small, uninhabited islands just 6 miles from Road Bay, Anguilla. They are divided into Prickly Pear east and Prickly Pear west, by a narrow channel, but they both have 360 degrees of powdery sand and turquoise water in common. According to the religious beliefs of the Arawaks, mankind and the universe itself originated from Anguilla's The Fountain and Big Springs. With petroglyphs, artefacts and carvings recently uncovered, the two caves are a mystical way to dive deep into the island's heritage. Head over to Island Harbour and wave at the little island in the distance; it takes just a few short minutes for your Scilly Cay ferry to come and whisk you away for a unique dining experience. There's just one building here and it serves some of the best, freshest lobster! Add a few servings of famous rum punch and the panoramic view of the Island Harbour and this spot is a favourite of ours and many visitors. Open for lunch only and closed on Mondays. There is entertainment on Wednesday and Sundays. Located on the Western edge of The Valley, next to the island's catholic church, Wallblake House is one of the only remains of Anguilla's plantation past, and the island's only standing Plantation House. More beautiful examples of the island's past architecture can be admired in that area of the capital, situated across from the Old Cotton Gin. Anguilla's historian and Heritage Museum curator Colville Petty O.B.E. spent his career collecting and preserving the remains and vestiges or the island's history, from its earliest Arawak roots to the latest event's photo. Visitors will find Mr Petty's extensive and unique collection by East End Pond. Dubbed the "Caribbean's answer to the 18th at Pebble Beach" by Robb Report, this 7,063 yard championship golf course will delight any golf lover. Designed by Greg Norman, the course offers water features and dramatic elevation changes, alongside a Pro Shop and high standard management, whilst greeting its visitors with some of the island's most spectacular views. Further embrace the island's raw beauty by combining a snorkelling excursion with a day cruise, exploring its secluded beaches, offshore cays, and colourful reefs, before enjoying a sunset cocktail on board. If your accommodation is not one of the many properties on Anguilla offering tennis facilities, head to the Anguilla Tennis Academy, Blowing Point, where visitors are welcome to reserve court time. If your holiday is not complete with a touch of adrenaline, locate one of the many operators for a spot of waterskiing, wind anD kite surfing, or even tubing and banana boating! With its flat land and easy roads, Anguilla is a great place to explore by bike, and competitive road bike cycling counts as one of the island's predominant sports, with one of the Caribbean's major cycling events, the John T Memorial Cycling Race, hosted by the Anguilla Cycling Association. For a leisurely trip around the island, bikes can be hired from most hotels or from some outfitters. With some superb spots to be enjoyed a short distance away from the beach, Anguilla is a delight for snorkelers and divers alike. Swim alongside the island's colourful parrot fish, blue tang, sea turtles and sea fans in Crocus Bay, Shoal Bay East, Sandy Island, Prickly Pear, Junk's Hole, or Little Bay. Boasting seven marine parks, the island offers a mix of historical and new dives, including wall, ledge and nine wrecks dives. Diving locations include Dog Island, Prickly Pear, Shoal Bay Harbour Reef System, Sandy Island, Little Bay (night dive with excellent macro photo potential), Seal Island Reef System, and the Steps at Scrub Island (impressive underwater rock formations). With a strong sense of cultivation for all things creative, Anguilla is reputed for encouraging its individuals to freely express their creativity, attracting many artists from all around the world to join the local community and further their inspiration and practice, and resulting in an abundance of galleries all over the island. Located near the Cheddies Carving Studio, this gallery displays sensual ceramic and wood sculptures by internationally acclaimed artist Courtney Devonish , alongside the works of some Caribbean, international and local artists, such as Shanicia Richardson. Curated by owner Janus Pavluk, this Island Harbour gallery invites you to browse international contemporary art whilst enjoying a light bite. Located in the Coconut Paradise Building. 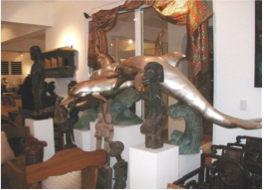 Also situated on Albert Hughes Drive, this gallery displays a variety of collectibles and furnishing from around the world, aimed at both casual and serious collectors, with beautiful handcrafts, exotic jewellery, as well as high quality furniture and interior design pieces. An internationally acclaimed sculptor specialised in driftwood, walnut and mahogany, Cheddie Richardson's creations range from birds, dolphins and fish to human beings. Located on Albert Hughes Drive. Overlooking Crocus Bay, the studio displays the fine textile art of Carol Richardson, including handmade bags, quilts, wall hanging, as well as paintings and other works of art. With its collections of world-class spas, yoga, wellness and independent masseurs, Anguilla is the ideal place to unwind and rejuvenate. Most resorts offer on-site treatments and classes, but practitioners and centres are also widely available across the island. Retreat facilities, yoga centres, studios and more are bound to keep you loose and relaxed. Located at the CuisinArt Golf Resort, this Mediterranean-style spa stretches over three stories and offers a wide variety of treatments destined to soothe the mind and body. If it's an all-round wellness experience you're after, then this two-story luxury villa spa is for you. With treatments, classes and presentations centred around healthful living practices, including meditation, Caribbean spa treatments, cooking and healthy lifestyle classes, the Spa at Viceroy covers the full spectrum of the meaning of wellness.